Ao longo de mais de duas décadas de profissão, Nedu Lopes figura hoje entre os melhores DJs do mundo. Com resultados expressivos em campeonatos de DJs como o Red Bull 3Style e o Kame World Classic, Nedu já representou o Brasil em países como França, Canadá, EUA e Nova Zelândia, colocando o nome do país entre os primeiros do mundo todas as vezes que competiu. Além da atuação em competições mundiais, já se apresentou em diversas cidades pelo mundo passando por 19 países entre Europa, Ásia, Oceania e as Américas, levando seu estilo Open Format que abrange gêneros do Hip Hop ao Eletrônico, passando por diversos outros como Rock, Reggae e Old School. Cresceu profissionalmente na sua cidade natal, Belo Horizonte, até se mudar em 2010 para São Paulo, onde se apresenta com frequência nos clubes e festas da capital além de tocar por todo país em festivais como: Universo Paralello (BA), Mistura Fina (BSB), Creamfields (BH), Xxxpirience (BH), Tunts (PA), Ceará Music (CE), Sónar (SP) e EDC (SP). Após se tornar tri-campeão do 3Style, foi convidado pela Red Bull para ser o curador e um dos jurados da competição no Brasil. Além deste, é frequentemente convidado a compor o júri de competições como DMC, Hip Hop DJ, IDA e Soco Na Gangrena. É também instrutor na DJ Ban Music Center, o maior centro de música eletrônica da América Latina, e “artist endorsed” das marcas Pioneer DJ e Serato. Como produtor lançou diversas tracks por selos nacionais e internacionais como: Trama, Black White Records, Mic Mac Records, Virale Records, Houzone Music, Anarchy In The Funky Records e Paradise Party. An active member of the Red Bull 3Style crew, Nedu Lopes is now the curator and one of the judges of the competition in Brazil. When battling, he won the Brazilian Championship for 3 times (2010/2011/2012), runner-up world in 2010, 3rd place in 2011 and runner-up in 2012. Experienced in national and international settings, Nedu has toured 18 countries, playing in England, Germany, Austria, Czech Republic, Hungary, Slovakia, Italy, Switzerland, France, Thailand, China, Japan, Canada, USA, Peru, Bolivia and Chile. In these opportunities he played in some major venues as Roxy (Prague, CZ), Kultiplex (Budapest, Hungary), True Color (Shenzhen, China), O2 (Shanghai, China), Bar Rumba (London, UK), Turnmills (London, UK), Stereo Live (Houston, USA), The Public (Baku, Azerbaijan) and at the Freestyle Festival (Zurich, Switzerland). With over 20 years of career, he is know as one of the most prominent and versatile DJs in Brazil, playing from House to Techno, from Rap to Miami Bass, from 2 Step Garage to New School Breaks. Currently, he is dedicating his researches and talen playing Rap, Trap, Breaks, Electro and House, adding to the frequent invitations to play a special Old School sets. Living in São Paulo since 2010, Nedu has played in most of the main dance floors and festivals in Brasil, such as Sónar SP, Creamfilds, X-Games, Xxxperience, Eletronika, Circuito, Ceara Music Festival, EDC, Universo Paralello and many others. Currently he is the official DJ of the Mistura Fina, one of the biggest label party in Brasília, the capital of Brazil. 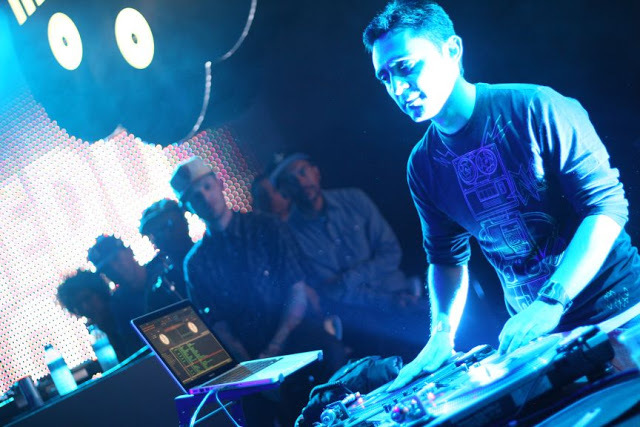 And he is an endorsed artist by Pioneer DJ and Serato. As a producer, he has released many tracks for national and international labels such as: Trama, Black White Records, Mic Mac Records, Virale Records, Houzone Music, Anarchy In Funky Records and Paradise Party. DJ Nedu Lopes. 2014. www.nedulopes.com - Brasil.